The Latin name of Purple tang is Zebrasoma xanthurus. They are also known as Red Sea Purple Tang, Yellowtail Tang. Hunt for a fish with similar behavior and shape. However, it can cope up very well with the community in the tank. 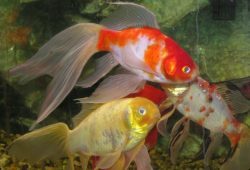 Try to arrange a swimming room and a suitable hiding place for this fish. Large purple tangs are rare but small and medium sized ones are quiet common. The small Purple tangs 1”- 2” or the size may vary. The medium Purple tangs 2″-3″ or the size may vary. The large Purple tangs 3″-4″ or the size may vary. The X-Large Purple tangs 4″-5″ or the size may vary. The minimum aquarium size to keep a Purple tang fish would be at least 20. The Red Sea fish is always a rare species. They are very unpredictable. So, Purple tangs are in high demand and sold away faster. A small Purple tang fish would cost you around $129. A medium Purple tang fish would cost you around $139. A large Purple tang fish would cost you around $149.00. 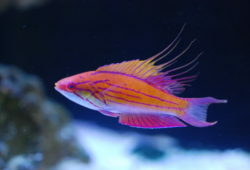 An X-Large Purple tang fish would cost you around $175.00. 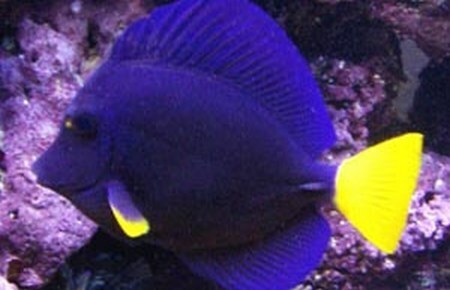 Perhaps, The Purple Tang is the most wanted Tang in the aquarium industry. 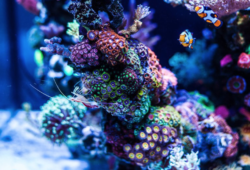 So if you already have a rare collection of a Purple Tang in your aquarium, feel great and take proper care of your fish.